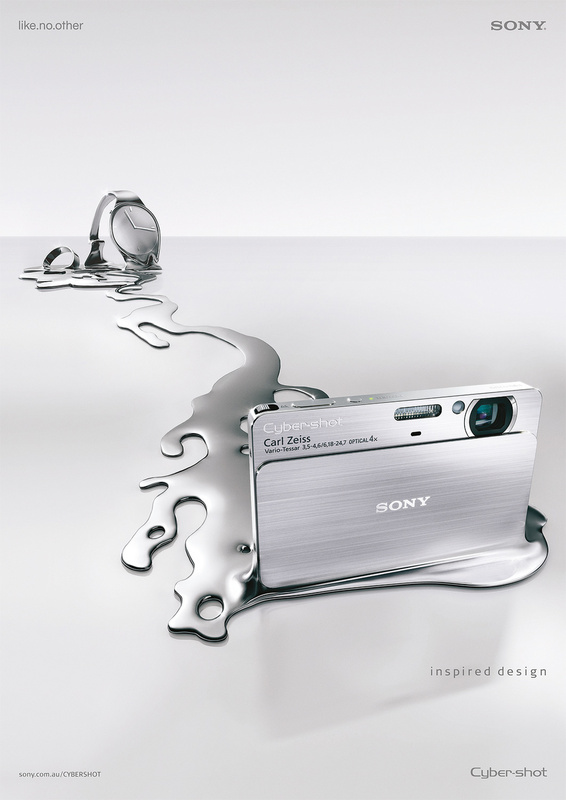 Sony wanted to showcase the new Cybershot camera as a fashion accessory as well as a great camera, so the concept was to show it being made from the same material as an expensive piece of jewellery. To achieve the effect of the object melting and becoming a camera, EA utilized a fluid simulator to create a realistic molten metal shape. The camera itself was built from an accurate 3D model of the camera. The image was lit for simplicity and beauty, with some basic retouching and grading to add the finishing touches to the 3D image.